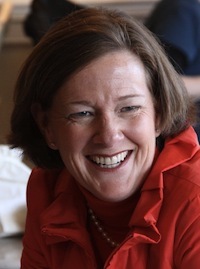 Former Premier Alison Redford, during the 2011 Progressive Conservative leadership race. With today’s release of Auditor General Merwan Saher‘s report on Alison Redford‘s travel habits, and as Premier Dave Hancock, leadership frontrunner Jim Prentice and Progressive Conservative MLAs desperately try to distance themselves from their former leader, it is important that we look back to a more optimistic time. 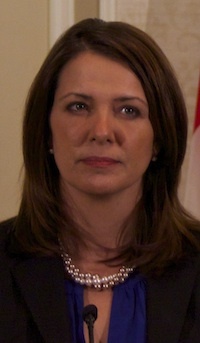 During the 2011 PC leadership race, and the provincial election that followed, the former premier (and now former MLA for Calgary-Elbow) seemed to be full of potential and represented a hopeful future for her party and the province. But, as we are now all aware, promises were broken and “mistakes were made” by Ms. Redford and her government. 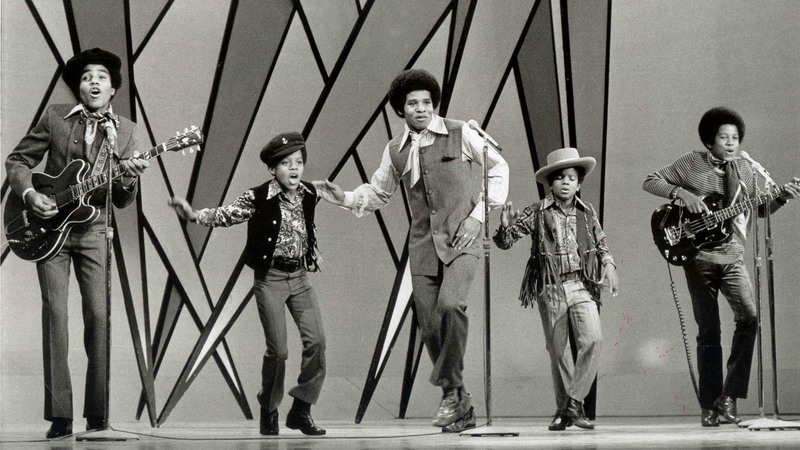 Editor’s Note: I will be taking a short break from the world of political blogging for the next week to enjoy the limited summer weather that our great country has to offer. 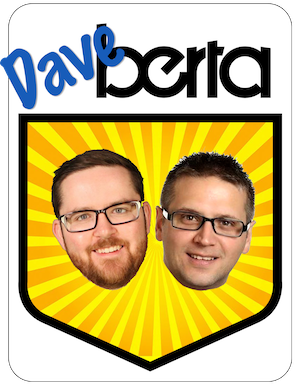 To fill your need for daily Alberta politics news in my absence, keep an eye on AlbertaDiary.ca and the always prolific #ableg and #pcldr hashtags on Twitter. This entry was posted in Alberta Politics and tagged 2014 Alberta Progressive Conservative leadership race, AlbertaDiary.ca, Alison Redford, Auditor General Report, Blame Redford, Calgary-Elbow by-election, Dave Hancock, False Passangers, Flashback, Jim Prentice, Merwan Saher, Mistakes Were Made, MLA Airplane Scandal, MLA International Travel, RCMP Investigaton, Resignation, Why I want to be Premier of Alberta on August 7, 2014 by Dave Cournoyer. 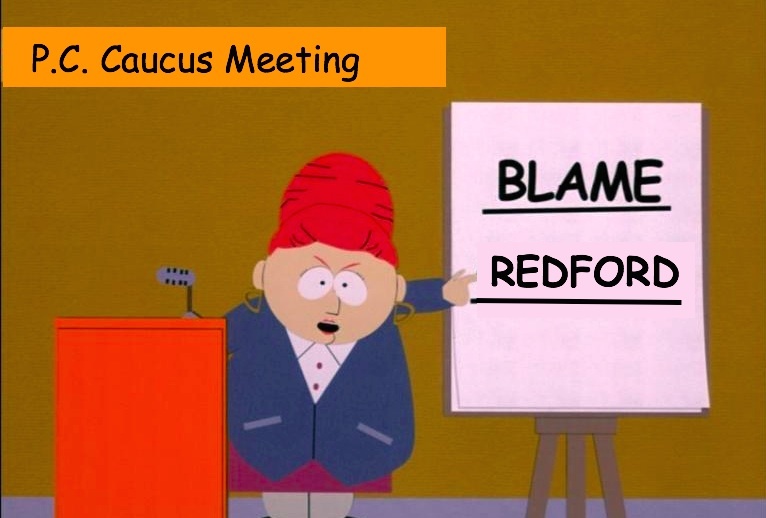 All PC Party leadership candidates are taking aim at Ms. Redford, trying to place the blame for every mistake the government has made for the past two years solely on her. 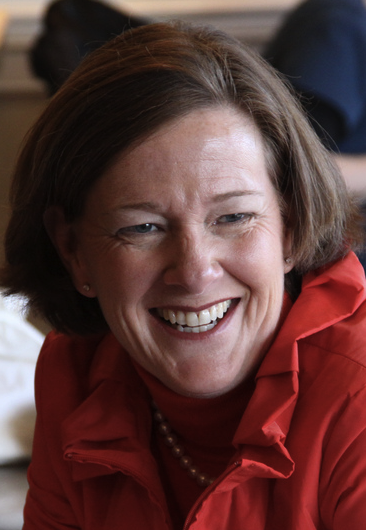 One-hundred and thirty-six days after Alison Redford was forced to resign as Premier of Alberta, she has announced that she will resign as the MLA for Calgary-Elbow. Through an opinion-editorial published in the Edmonton Journal and Calgary Herald, the former premier defended her record as premier and refused to apologize for the misdeeds and scandals that occurred during her time as Premier of Alberta. Ms. Redford had been facing intense pressure to resign as MLA after months of controversy, including a leaked draft of a damning Auditor General report criticizing her expensive travel habits on the government dime. The full report from Auditor General Merwan Saher is scheduled to be released on tomorrow. Ms. Redford resigned today. 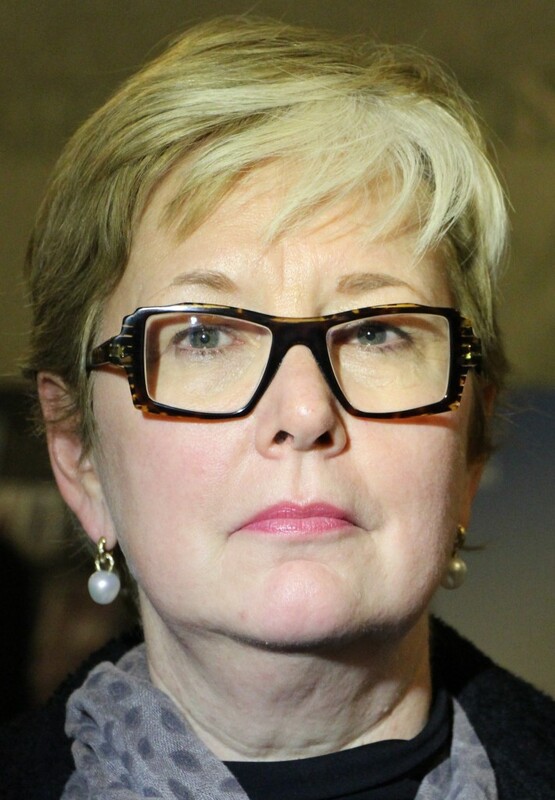 This week, her former deputy premier called on Progressive Conservative MLAs to hold an emergency meeting to remove her from the governing caucus. 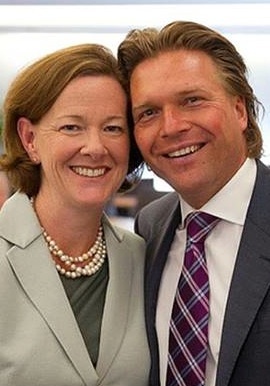 PC leadership candidate Thomas Lukaszuk, the front man for Ms. Redford’s brutal funding cuts to Alberta’s colleges and universities, continues to take advantage of any opportunity to attack the former premier. And he was not alone. All PC Party leadership candidates have taken aim at Ms. Redford, trying to place the blame for every mistake the government has made for the past two years solely on her. 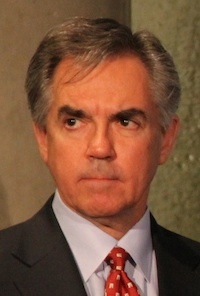 Mr. Lukaszuk’s main opponent, bank executive Jim Prentice, has tried his best to avoid connecting himself in anyway to his party’s former leader. The front-runner refuses to even mention Ms. Redford by name when speaking to the media. But while Mr. Prentice is aiming for a complete public divorce from his predecessor, he cannot escape the fact that the majority of his supporters in the PC caucus also supported Ms. Redford. 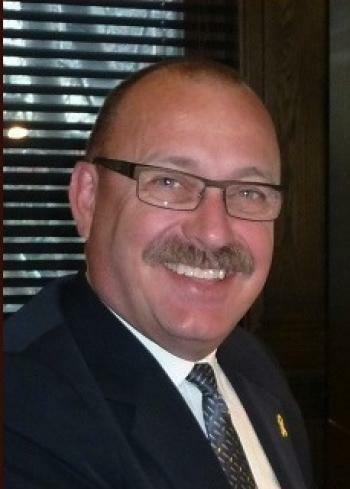 Ric McIver, the arch-conservative dark horse of the PC leadership race, did not ask Ms. Redford to resign, but was also critical of his former leader. 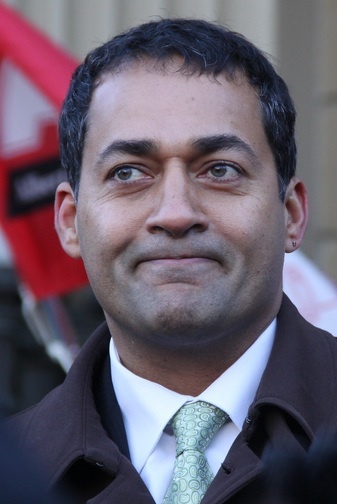 Ms. Redford’s resignation means that a by-election will need to be called in the Calgary-Elbow constituency within the next six months (by February 5, 2015). This will be the second by-election in Calgary-Elbow since 2007, when former Premier Ralph Klein retired from politics. The Liberals won that by-election. 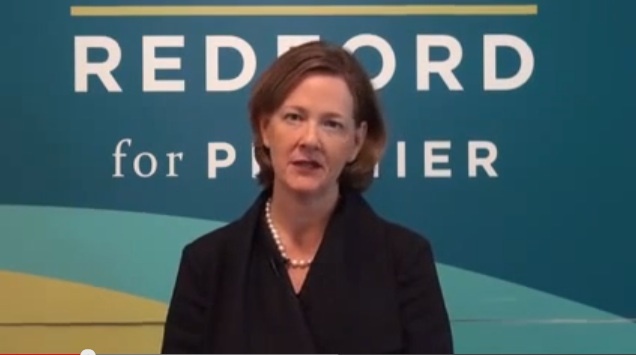 In a strange move that will now be buried under the news of Ms. Redford’s most recent resignation, Independent MLA Donna Kennedy-Glans chose the middle of the summer to distribute a media release declaring that she wants to rejoin the PC caucus. 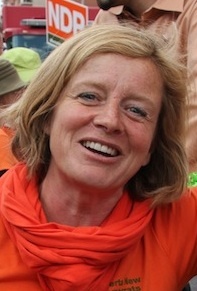 Ms. Kennedy-Glans infamously left the PC caucus days before Ms. Redford’s resignation, saying that she was “increasingly convinced that elements of this 43-year old government are simply unable to make the changes needed to achieve that dream of a better Alberta.” It is unclear what has changed in the past five months to make her change her mind. 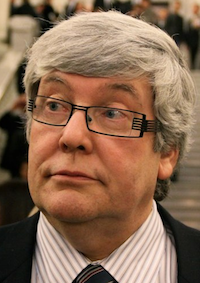 As Stephen Carter penned on his Calgary Herald blog, Ms. Kennedy-Glans, a) wants a spot in Mr. Prentice’s cabinet, and b) does not want to chance being challenged by a ‘star’ PC candidate in the next election. All the respect that Ms. Kennedy-Glans earned when she left the government on principle on appears to have been lost with this seemingly politically opportunistic move. This entry was posted in Alberta Politics and tagged 2014 Progressive Conservative Party leadership race, Alison Redford Resigns, Auditor General, Blame Redford, Calgary-Elbow by-election, Donna Kennedy-Glans, Jim Prentice, Merwan Saher, Mistakes Were Made, Opinion-Editorial, Ralph Klein, Ric McIver, Thomas Lukaszuk on August 6, 2014 by Dave Cournoyer. Yesterday’s Speech from the Throne was old news as scandal erupted today over Premier Alison Redford’s alleged inappropriate use of government-owned airplanes. After facing criticism over her $45,000 trip to South Africa and a $9,200 trip from Palm Springs, Ms. Redford struggled to control the story today by announcing plans to pay $3,100 for costs associated with five other fights on government airplanes. These new flights include four where her daughter’s friend traveled for free and a fifth to Vancouver, where the premier apparently attended her uncle’s funeral. On March 22, 2013, Ms. Redford traveled on a government plane with her daughter, a political assistant and a member of her security detail from Calgary to Vancouver. In the public flight manifests, the purpose of the trip is listed as “attend meeting(s) with government officials.” If Ms. Redford was attending to government business in Vancouver as the manifest states, it is unclear why, almost a year later, she has decided to pay the costs of the flight. The government airplane, and presumably its government-employed pilots, parked at Vancouver International Airport until Monday, March 25, 2013, when fight records show they returned to Alberta with the premier, her daughter and her entourage. The premier has asked Finance minister Doug Horner to “find greater cost efficiencies” in government travel expenses, and has also referred the matter to Auditor General Merwan Saher. 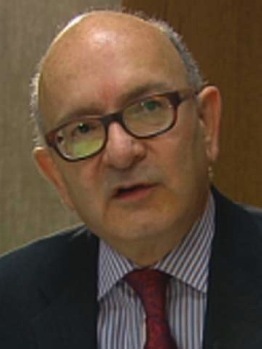 Involving the Auditor General accomplishes two important public relations objectives: first, it allows the government to deflect questions from the media until the AG reports back, and second, it means the opposition cannot ask questions about Ms. Redford’s travel expenses in Question Period until the AG reports back. As Ms. Redford appears to be the only MLA involved in this scandal, it is unclear who else the Auditor General will investigate. Readers of this blog will remember that in February 2013, Ms. Redford removed Tourism minster Christine Cusanelli from cabinet after it was revealed she had used government funds to fly her family to the 2012 London Summer Olympics. Ms. Cusanelli later repaid the costs, but now sits in the backbenches. 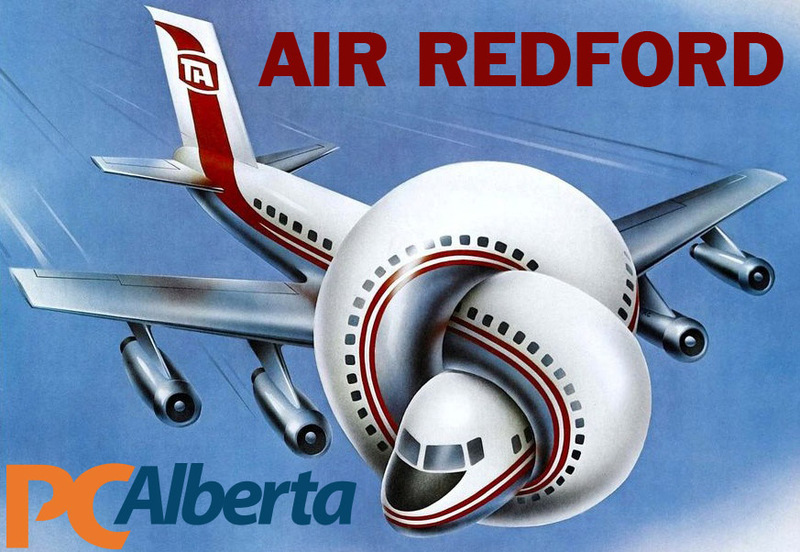 The airplane scandal comes to light as a new poll shows Alberta’s long-governing Progressive Conservatives at an all-time low of 25% support province-wide and Ms. Redford with a 20% approval rating. Meanwhile, leaked emails show Tory organizers were forced to delay the launch of the new “PC Legacy Fund” after it failed to sign up enough PC MLAs and party officials to contribute to the fundraising program. This latest turbulence begs the question: can Ms. Redford’s leadership survive, and, who stands to gain the most if she crashes and burns? This entry was posted in Alberta Politics and tagged 2012 London Summer Olympics, Air Redford, Alison Redford, Auditor General, Christine Cusanelli, Doug Horner, Merwan Saher, MLA International Travel, PC Legacy Fund, Vancouver International Airport on March 4, 2014 by Dave Cournoyer. Words of advice from fictional Vice-President Frank Underwood. Last week, he was publicly criticizing Premier Alison Redford for her over-priced $45,000 trip to South Africa (see below) and faced a threat of expulsion from the Progressive Conservative caucus. 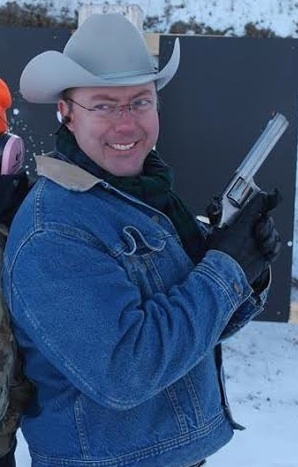 This week, coincidentally, Edmonton-Riverview PC MLA Steve Young faces a new set of revelations dating back to his time as a Sergeant with the Edmonton Police Service (EPS). Last week, an RCMP spokesperson told the Edmonton Journal’s Paula Simons that they had never conducted a criminal investigation into the decision by the EPS, including Mr. Young, related to the release information about an alleged young offender. This week, the CBC revealed that the RCMP conducted a year-long investigation related to the incident. It’s the story that won’t disappear. People across Alberta shook their heads in disbelief when they learned the government spent $45,000 to send Ms. Redford and her executive assistant, Brad Stables, to attend Nelson Mandela‘s funeral in South Africa. Bringing Mr. Stables added an estimated $20,000 to the cost. It is unclear why he was required to travel with Ms. Redford to South Africa. Nova Scotia premier Stephen McNeil made the same trip for less than $1,000. 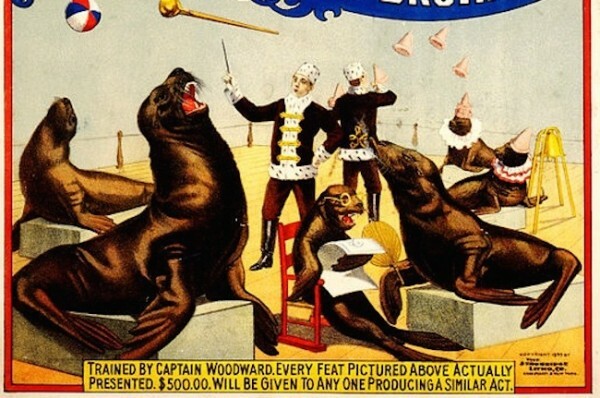 He did not require an executive assistant to accompany him. A report from Auditor General Merwan Saher this month chastised the government for not properly consulting with stakeholders about the proposed changes that will impact their members. 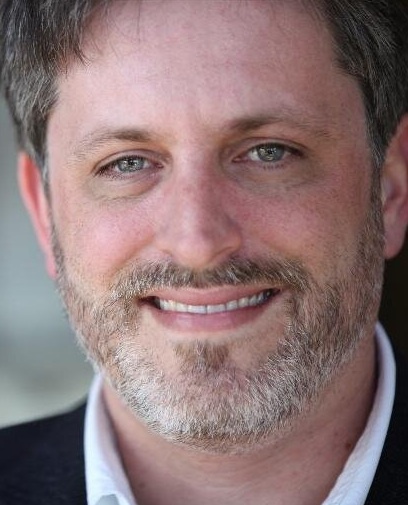 The Local Authorities Pension Plan board has not endorsed Mr. Horner’s proposed changes. Court of Queen’s Bench Mr. Justice Denny Thomas issued an injunction halting the Redford government’s controversial Bill 46. 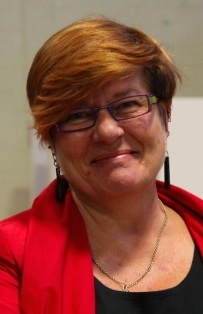 Rammed through the Assembly in December 2013, the anti-labour law allowed the Tories to circumvent a neutral arbitration process which could have awarded fair salary increase for public sector employees. 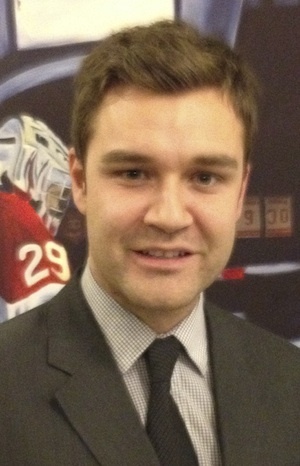 Bill 46 would have imposed a salary freeze. 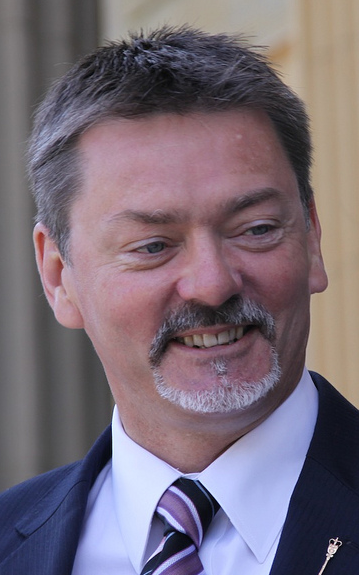 Advanced Education minister Dave Hancock said the government will appeal the court’s decision. Without a single-desk wheat board to coordinate grain sales, transport logistics and the use of port terminal facilities, Alberta’s grain farmers are at the mercy of Canada’s railway corporations. 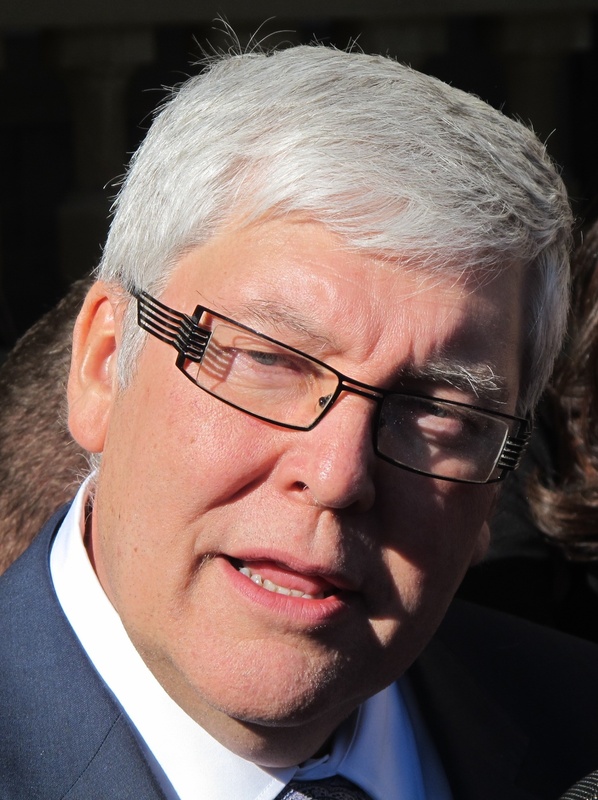 “Today starts a new era in marketing for farmers,” Agriculture minister Verlyn Olson boasted in a press released in August 2012, as the federal government dismantled the Canadian Wheat Board. This week, Mr. Olson claimed he would push for greater rail system accountability. 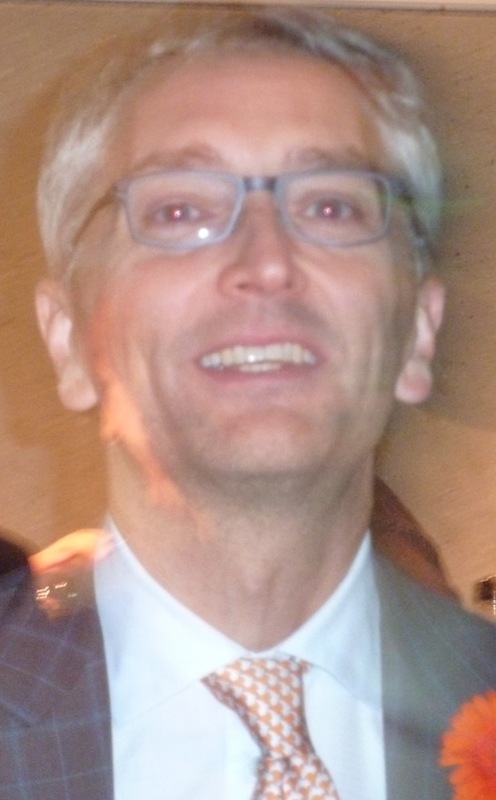 The Wildrose opposition has been equally enthusiastic about the Canadian Wheat Board’s demise (one of its MLAs, Rick Strankman, was once charged for violating the board). But not to be outdone by Mr. Olson, Wildrose MLAs Shayne Saskiw and Drew Barnes are now hosting town hall meetings from Streamstown to Spirit River about the challenges of individual farmers are facing dealing with the large railway corporations. This entry was posted in Alberta Politics and tagged Alberta by Design, Alison Redford, Auditor General of Alberta, Bill 46, Brad Stables, Canadian Wheat Board, Dave Hancock, Doug Horner, Drew Barnes, Drew Barns, Edmonton-Riverview, Frank Underwood, Merwan Saher, MLA International Travel, Mr. Justice Denny Thomas, Nelson Mandela, Rick Strankman, Shayne Saskiw, South Africa, Spirit River, Stephen McNeil, Steve Young, Streamstown, Verlyn Olson on February 25, 2014 by Dave Cournoyer. 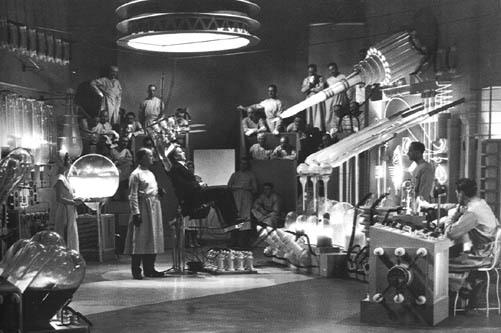 Alberta MLAs return to Edmonton next week for the first real sitting of 2012. 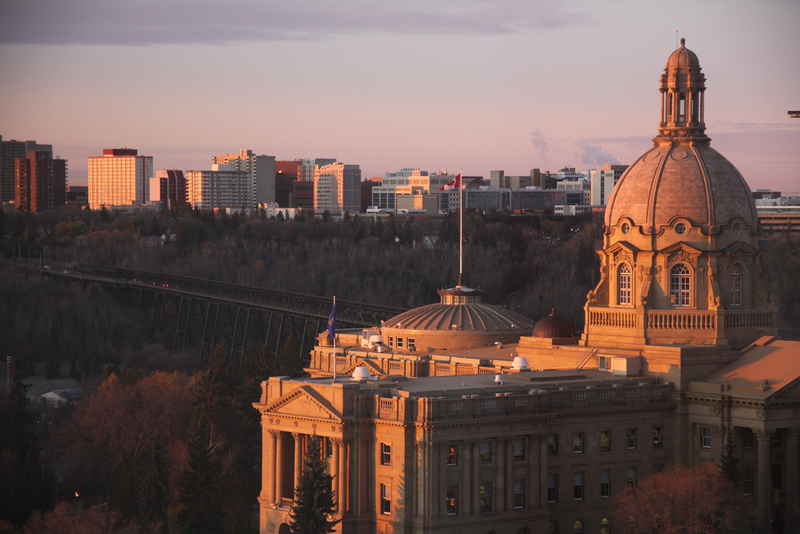 The fall sitting of Alberta’s Legislative Assembly begins on October 23 and indications suggest that it will be a different than recent sittings. Aside from the brief sitting held in the spring with the almost sole purpose of ejecting retired MLA Ken Kowalski from his long-held spot in Speaker’s Chair, the newly elected Wildrose Official Opposition has had little opportunity to spar with government ministers in a formal setting. The Wildrose Party’s gains in the April 23, 2012 election marked the first time since before the 1975 election that Alberta’s official opposition composed of mostly MLAs representing rural Alberta constituencies. Between 1986 and 2008, most opposition MLAs were elected to represent constituencies within Edmonton city limits. Due to floor crossings and a by-election, more opposition MLAs resided in Calgary between the 2008 and 2012 elections. This scenario is new for the Progressive Conservatives, who spent 37 years dominating rural Alberta and is certainly new for the 17 MLA Wildrose opposition, which includes 15 rookie MLAs. 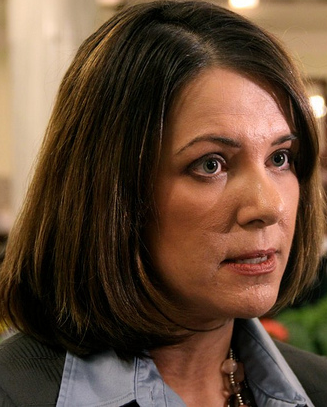 While leader Danielle Smith has received some criticism for her three-week absence to the United States, she and MLAs Rob Anderson, Kerry Towle, Ian Donovan, and Shayne Saskiw have been some of the more prominent Wildrose media spokesmen over the course of the summer. Over the course of the summer, Premier Alison Redford‘s PCs stumbled over issues in rural Alberta which in previous years would have been solved in a closed-door Tory caucus meeting. The closure of the fully-functional Little Bow Continuing Care Centre in Carmangay made the Tories look vengeful towards voters who abandoned their party and the cancellation of funding for the Fort Macleod police training centre made the Tories look foolish for ever approving the porkbarrel project in the first place. The confusion around what exactly happened at the XL Foods meat packing plant in Brooks, the slow reaction of the Canadian Food Inspection Agency to the E.coli outbreak, and the late reaction of the slaughterhouse owners will certainly be an issue the opposition will use to tackle the government during the fall sitting. Criticisms of cabinet minster international travel and expense claims will undoubtably be met by the Tories retort that Wildrose caucus has yet to release expense claims they committed to release over the summer. Due to a lack of traditional organized conservative political opposition outside the PC Party, it has been an odd and sometimes humorous sight to watch rookie Wildrose MLA’s stand side-by-side with New Democratic Party MLAs at protest rallies over the course of the summer. While some of Wildrose MLAs first appeared awkward and uncomfortable gripping a megaphone, some of them looked like they were getting the hang of it by summer’s end. 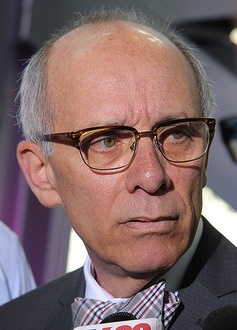 In the past, the Liberal and NDP opposition have leaned on groups like the Friends of Medicare and Public Interest Alberta to rally supporters outside the Assembly, but the main conservative voices, like the Canadian Taxpayers Federation, have tended to rely on press conferences and media releases rather than rallies on the steps of the Legislature Building. 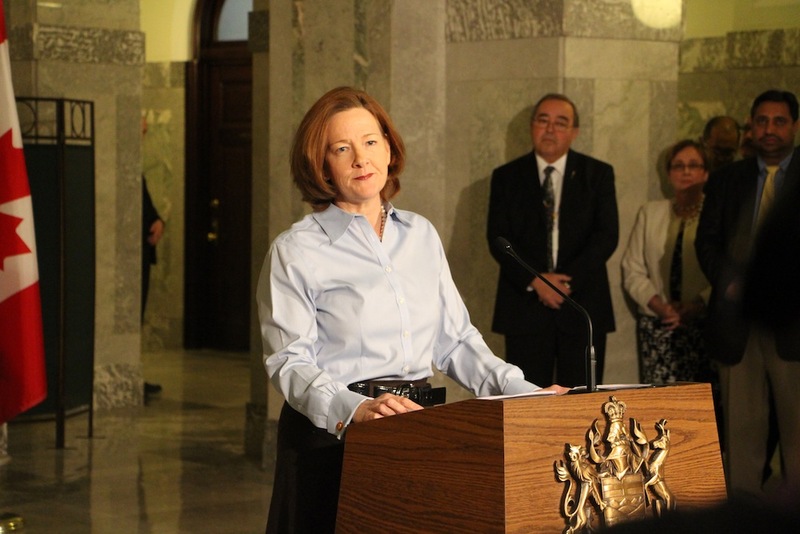 The legislative agenda presented by the government during this fall sitting will also give Premier Redford an opportunity to shape her defining narrative, which has been absent since she was elected Premier earlier this year. The government will return to its only bill introduced in the short spring sitting, the Workers’ Compensation Amendment Act, to provide additional support to police officers, firefighters, emergency medical technicians, and peace officers dealing with post-traumatic stress disorder. Municipal Affairs Minister Doug Griffiths is expected to introduce amendments to the Local Authorities Elections Act, which would extend terms for municipal elected officials from three years to four years. Eduction Minister Jeff Johnson could introduce an Education Act, which would mark the third time the Tories have attempted to introduce a consolidated piece of education legislation in the past few years. Finance Minister Doug Horner will face criticism over Auditor General Merwan Saher‘s investigation into whether the government violated the Government Accountability Act by releasing shortened versions of financials documents during the 1st quarter update of the provincial budget this summer. 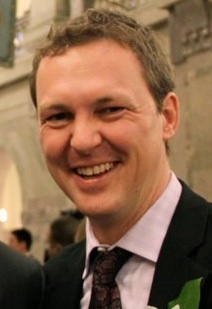 Minister Horner was criticized by journalists and lobbyists for not releasing more detailed documents. 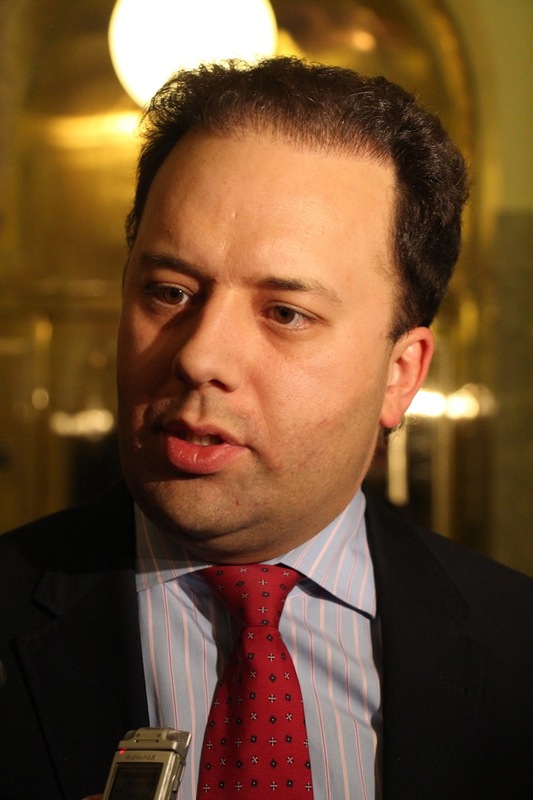 The decision to not release detailed documents could signal a desire for the government to shift away from the public quarterly budget updates, which are meaningless in terms of fiscal planning due to the province’s dependence on fluctuating natural resource commodity prices and have become little more than public relations exercises for the government over the past two decades. 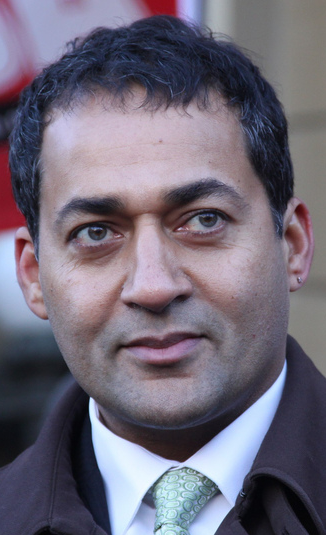 While his party has not had much to celebrate over the past year, Liberal leader Raj Sherman earned a small victory this week. Health Minister Fred Horne announced that the anti-smoking bill introduced by Dr. Sherman and passed before the last election will be proclaimed into law by the Lieutenant Governor Donald Ethell. Dr. Sherman’s bill would ban adults from smoking in vehicles where children under the age of 18 are present. This entry was posted in Alberta Politics and tagged Alison Redford, Danielle Smith, Donald Ethell, Doug Griffiths, Doug Horner, Fred Horne, Ian Donovan, Jeff Johnson, Ken Kowalski, Kerry Towle, Merwan Saher, Raj Sherman, Rob Anderson, Shayne Saskiw on October 16, 2012 by Dave Cournoyer.